Not so far from Portico di Romagna, towards the Adriatic coast, Cesena is a tiny nice town, with a charming center to walk and a unique ancient library to visit. Cesena is not only this. Art, monuments, concerts, lots of nice restaurants to eat at and charming hills to spend summer nights, drinking a glass of Sangiovese, the local wine. Cesena has a plethora of interesting historical sites such as the Rocca Malatestiana, the Teatro Alessandri Bonci and the beautiful Ponte Vecchio. If you are looking for a quiet retreat, great attractions and friendly locals, Cesena is a brilliant place to visit. This remarkable castle complex has stood in Cesena since the late 1300’s and actually stands on top of two previous defensive fortifications. During the 1400’s, the fortification was completely renovated and improved upon and became the main defensive outpost for the city of Cesena. It is possible to take a tour of the castle, walk on its battlements and admire its beautiful architecture. The square has a myriad of gorgeous structures in a variety of different colours – from pinks and yellows to greens and whites. 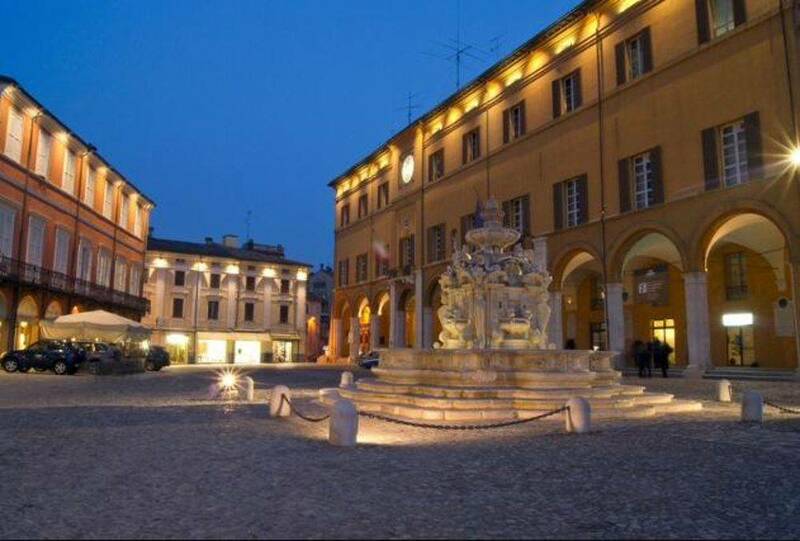 On the southern side of the square, the remains of the castle walls dominate, and in the centre of the square there is the Masini Fountain, and also is a series of high quality restaurants and cafes to enjoy a relaxing meal or drink in. This hidden gem is actually one of the most important musical museums in Italy and contains a huge array of mechanical musical instruments and provides a fascinating look at the history of this type of music. Covering 500 years of musical history, this museum has some fascinating displays and a large collection of beautiful musical instruments. Items included in the museum are music boxes, miniature organs, pianos and other delightful devices. 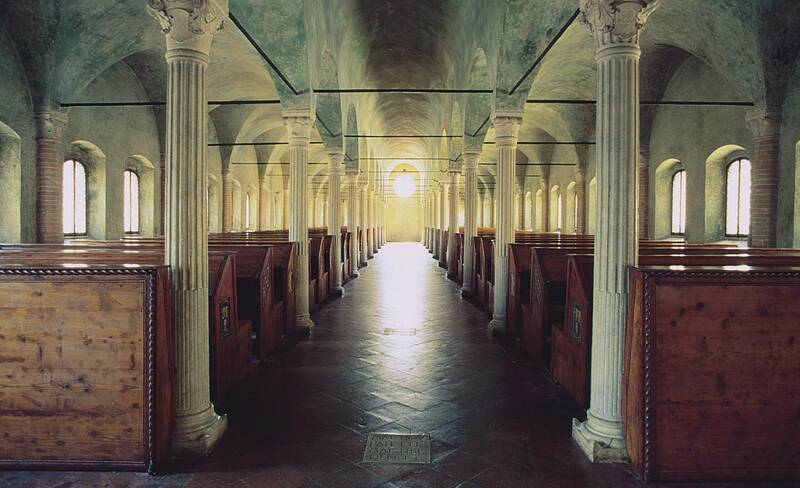 This immense structure in the centre of the historic old town of Cesena has been designated as part of the UNESCO World Register. This public library was constructed in the 15th century and established a huge collection of literature over the subsequent years. Its main hall remained exactly as it was at those times, when students used to sit there and study or write. With over 400,000 books, this library is a cultural and educational trove. Cesena has several theatres but the Teatro Alessandro Bonci is by far the most beautiful and renowned. Originally designed and created in 1843, the opera house developed a fantastic reputation for its high quality and entertaining productions and was dedicated to the notable Tenor Alessandro Bonci who actually lived in Cesena. The interior was recently renovated following the original colors and materials and features 5 levels of individual boxes in a semi-circular ring. If you have a day off, take the chance to visit this lovely town, before going back to Vecchio Convento and Portico di Romagna.